Above Surveying has joined forces with the University of Essex to develop a state of the art smart drone to monitor and inspect solar Farms. Working with the University’s experts in robotics and AI, Above Surveying are developing new technology solutions as part of a Knowledge Transfer Partnership supported by Innovate UK. By leveraging the latest in embedded systems technologies and machine learning, the partnership are developing a more efficient and autonomous inspection solution requiring significantly less human intervention to operate. Partnered with Buzzflyer Ltd, an established UAV constructor and supplier with over 12 years experience in the UAV field. Buzzflyer brings a wealth of experience in the design and construction of UAVs, gimbals and sensors. The partnership with Buzzflyer enables Above surveying to operate with the latest UAV technologies as well as access to high quality UAV support and maintenance. 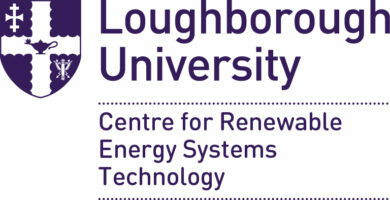 Above Surveying work in collaboration with the Centre for Renewable Energy Systems Technology (CREST), based at Loughborough University they are a leading academic group within sustainable energy. The Innovate UK funded project aims to find a correlation between aerial thermography of solar PV and power loss, whilst exploring the benefits of anomaly detection within PV Systems. CREST have over 20 years of experience in the research and development of innovative renewable energy technologies, utilising state-of-the-art testing facilities and leading academics the partnership will be able to deliver high-quality research findings to the ever-growing solar industry. "The Above Surveying service has proved itself extremely valuable to RES. Not only is the client portal incredibly useful, but the support and dedication from the Above team was exemplary"
Above Surveying’s professional and pragmatic approach to collecting thermographic data and the granular level of detail portrayed via their online portal is an essential part of Amberside Energy’s toolkit. Their data is the first step in peeling back the skin of a solar asset to find out exactly what can be done to optimise the plant, precisely locating areas of potential upside, which is invaluable for our clients. "Above Surveying's thermograhic inspection service is a professional and efficient complement to our PV plant quality assessments. They are a valuable partner for PI Berlin in the UK market"
"Above Surveying represent the future of thermal surveying within the solar PV industry. The technical expertise, customer service and client understanding on every project I have collaborated on has been second to none." Dom Veale, Senior Technical Asset Manager, Low Carbon.